Sanctions introduced in the previous years were extended. 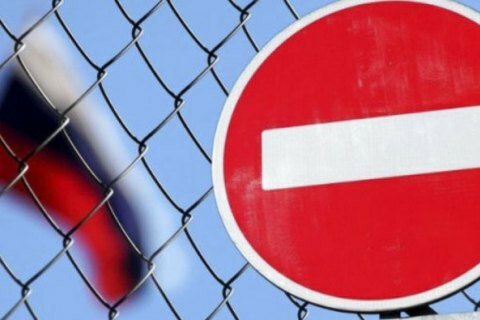 The National Security and Defence Council (NSDC) has introduced sanctions against Russian companies and individuals over Moscow's aggression against Ukraine in sync with the USA, the NSDC press service has said. At its meeting on 2 May, the NSDC considered targeted economic and other restrictive measures (sanctions) against legal entities and individuals over Russia's aggression against Ukraine, against which relevant decisions were taken by the US and EU governments. The sanctions are introduced on the initiative of the Cabinet of Ministers, the Security Service of Ukraine (SBU) and the National Bank of Ukraine for three years or indefinitely against physical and legal entities involved in the Russian aggression against Ukraine, the preparation and conduct of the illegal vote in the Russian presidential election in Russia-annexed Crimea, representatives of the Russian occupying administration in Crimea, members of Russian paramilitary groups in occupied parts of Donetsk and Luhansk regions and so on. Ukraine has also introduced sanctions against individuals involved in the information and cyber aggression against Ukraine, illegal actions against Ukrainian nationals illegally held in Russia, members of the State Duma and the Federation Council and so on. Sanctions introduced in the previous years have also been extended. In late April, US President Donald Trump and German Chancellor Angela Merkel confirme their joint position on sanctions against Russia. Their goal is to make Russia respect the sovereignty and territorial integrity of Ukraine.